The perfect pint has a head of precisely nine millimetres, is served in a PROPER pint glass – and should be enjoyed at 5.30pm on a Saturday – with your other half, according to a study. New research has revealed the components for the PERFECT pint drinking experience, according to British beer lovers – and found the ideal pint should be accompanied by a packet of crisps, a good catch up with your partner – and mobile phone devices out of sight. The perfect setting is a country pub, with a beer garden – and it should take exactly 28 minutes to enjoy, the poll found. The study, commissioned by St Austell Brewery’s Proper Job IPA to mark Cask Ale Week, starting 20 September, also found that 43 percent of beer fans want to be on friendly terms with the bar staff, and – in homage to the sitcom Cheers’ – 16 percent want to go where everybody knows your name. More than six in ten beer aficionados feel strongly that great taste is a vital component to the perfect pint, while 65 percent said the food you eat to accompany a beer was crucial to the enjoyment of the drink, with crisps, curry, burgers and peanuts among the top food selections to partner with a pint. Yet 23 percent of Brits said they hardly ever drink a faultless pint, with almost a third (32 percent) claiming that the temperature is nearly always wrong. Nearly three in ten (29 percent) claim loud music always ruins their drinking experience and 38 percent say that their pints are spoilt by being served in dirty glasses. Just over a quarter of Brits (26 percent) complain that many pubs and bars offer a poor selection of beers and four in ten bemoan the cost of a pint. 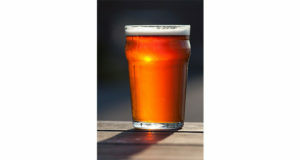 A spokesman from Proper Job said: “With our research, we wanted to shine a light on what makes a perfect, proper pint. “At Proper Job we believe that everything should be proper, and for Cask Ale Week we wanted to find out what British beer aficionados say makes a proper pint. Our research reveals that there are many important factors – ranging from who you’re drinking it with, where you’re drinking it and at what time of the day. According to the research, 22 percent of British adults think it’s become harder to get a decent pint in the last decade. And yet, 45 percent described a pint as vital to Britain, claiming it was part of our national character. Just over one in ten said there was no better way to savour the perfect pint than when you had no worries on your mind. Good Beer Guide Editor Roger Protz, commented: “In Britain, beer is so much more than just a drink. It’s about the overall experience – good taste, ideally suited food pairings, served in proper pubs by landlords who are obsessed with beer quality and doing things the right way when it comes to the conditioning.